Acquaviva Collecroce, along with Montemitro and San Felice is one of the last three towns of Molise, where even today they still speak an ancient Slavic language dating back to 1400's. 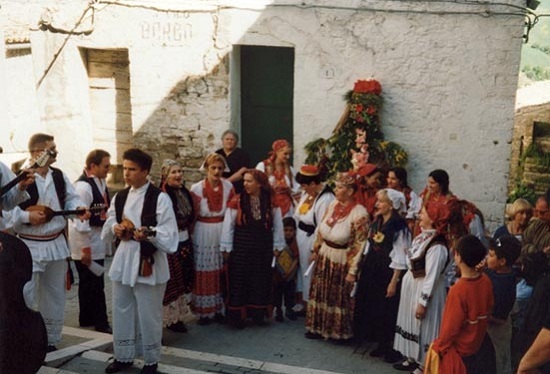 Like the above named towns, Acquaviva Collecroce is also home to a community of Molisian Croats, most of whom speak a particular Croatian dialect as well as Italian. There are differences in the dialects of the three towns, but they all descend from the Shtokavian-Ikavian dialect of Dalmatia. The language is considered an endangered diaspora language. Brief History: Migrations flow from the Balkan coast to Italy go back to the time of Emperor Diocletian, but the most popular migration occurred around 1500's, giving rise to many towns in Molise, such as Acquaviva Collecroce, Mafalda, Montemitro, Palata, San Biase, San Felice del Molise, San Giacomo degli Schiavoni and Tavenna. Many scholars believe the migration of the Slavs in 1500 caused by the i nvasion of the Turks in the Balkan peninsula brought about a shift of population from the hinterland to the Dalmatian coast. The costal territory became so overcrowded as to force feudal lord Venice and the Kingdom of Naples to find alternative solutions, in fact, the earthquake of 1456 had virtually depopulated many of the towns and villages of the Kingdom of Naples, so it was decided to redirect the flow of immigrants to those areas. In doing so, the republic of Venice was guaranteed friendly population along the Adriatic coast and the kingdom of Naples (South Italy) which at the time was considered a rich country, could use the extra manpower in those sectors of the economy aimed at local export, such as oil, wheat and wool fabrics. Has not being easy to determine precisely the places from which the emigration of the 1500's originated. Later study suggest that there was displacement of populations, towards the end of 1400, in the area where the Vir-Imotski-Vrgorac-Ljubuscki descends into the valley of the Neretva River, an area long exposed to the assaults and looting of the Turks. Though there is evidence of an earlier Slavic settlement in 1297, it is believed that the current inhabitants are not their descendants, but rather come from later migrations in the 15th and 16th centuries. 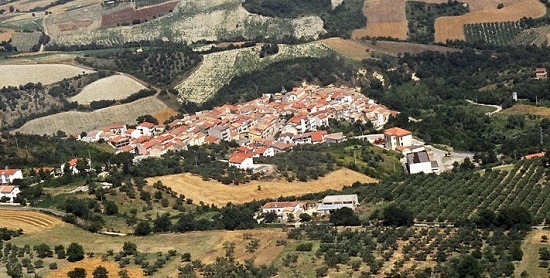 The town is located at the center of a large hillside amphitheater marked by the Palata hill to the east, Monte Mauro to the south and Monte Baiardo to the west, an area rich in water and vegetation, with small wooded patches, wheat fields, olive groves and vineyards of different sizes. Acquaviva lays in the middle of two rivers, Trigno and Biferno, the place where, in the sixteenth century, many immigrant families from the "other side of the sea" found refuge, repopulating these lands that were left deserted as a result of the huge earthquake of 1456. Higher up, on their respective hills are San Felice, Tavenna and Palata, robing the town's of the magnificent views of the Adriatic sea. To see : The Church of St Mary Hester. Built in 1715. 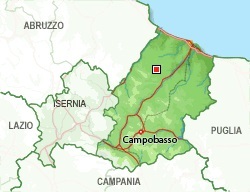 It is an example of the baroque art in Molise. On the facade the main door stands out for its amazing friezes made of hard rock, in the middle of the architrave there's the Cross of Malta. In the 12th century, Acquaviva was indeed a base for the Knights of Malta. Local event : The Maja Festival May first - the rite of passage between winter and the rebirth of spring. A joyful rite of good omen for a new wealthy harvest - A puppet is decorated with flowers, inside which a man steps in.